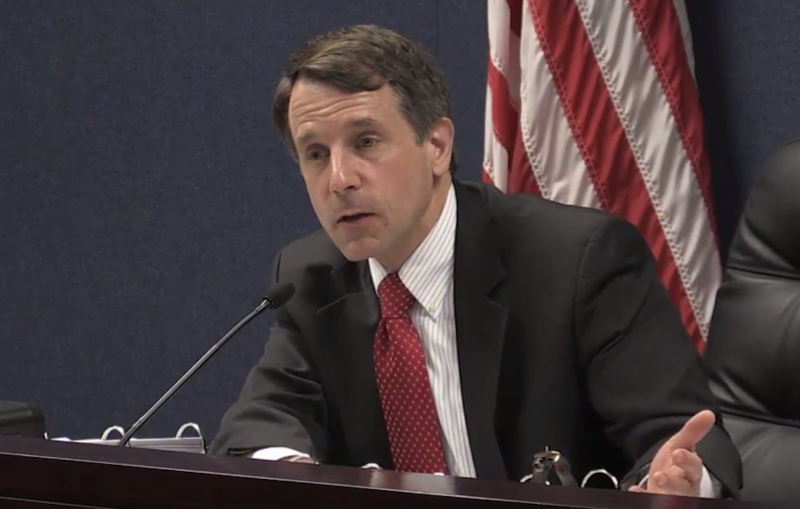 State Insurance Commissioner Dave Jones continued to make his skepticism clear regarding Anthem Inc.’s proposed $54.2 billion acquisition of Cigna Corp. during a hearing in San Francisco on Tuesday. Company executives faced Jones and a panel of physicians and consumer advocates who questioned the benefits the companies say the acquisition will bring. The California Department of Insurance hearing took a more pressing tone than a related hearing held by the California Department of Managed Health Care earlier this month. According to Anthem and Cigna, the merger will result in easier access to medical providers for patients and lead to more affordable health insurance policies. Jay Wagner, Anthem’s vice president and counsel, and Tom Richards, Cigna’s global leader for strategy and business development, said the purchase would cut costs by $2 billion annually. They told Jones they were “quite confident” in that estimate. But Wagner and Richards said they could not commit to guaranteeing savings for consumers because of factors out of their control, such as the rising prices of specialty drugs. Brent Fulton, a professor of health economics and policy at UC Berkeley, presented an analysis on the Anthem and Cigna merger at the request of the Department of Insurance. Theoretically, Fulton said, consolidation could lead to stronger negotiating leverage with hospitals, physician organizations and other providers of health care services that now hold market power, resulting in lower costs for health insurance customers. “However, we are not aware of any peer-reviewed studies that have found that higher insurer market concentration has led to lower health insurance premiums,” Fulton said. Consumer advocates said the acquisition would make existing problems with health insurance worse. Anthem, they claimed, has already struggled with inaccuracies in provider directories, low quality ratings and poor management of grievances. “We don’t have any proof from Anthem on concrete benefits to consumers,” said Carmen Balber, executive director of Consumer Watchdog. “Consumers are already hurting in cost,” she said, stating that about 20 percent of consumers can’t afford the prices even with insurance. Even without the merger, the top four insurance companies control more than 80 percent of the market. The Anthem-Cigna union is one of two pending mergers still under review by state regulators. Last week, Centene’s $7 billion purchase of Health Net was approved. Regulators are also examining the planned $37 billion combination of Aetna Inc. and Humana Inc. The Anthem-Cigna merger also needs the green light from 23 other states. Nationally, the combination would cover some 53 million policyholders, overtaking UnitedHealth Group Inc., which has close to 46 million members, according to 2013 estimates. The California Department of Managed Health Care, which held a hearing on this same merger earlier this month, is expected to impose certain conditions on the Anthem-Cigna deal to address consumer worries about the potential impact of large-scale consolidation. Those conditions are not yet clear. Jones said he’s asked the two companies for more information, and he expects to make a recommendation in the coming week. Jones said he plans to make a recommendation to the Federal Trade Commission and Department of Justice, who ultimately have the final say on the merger nationwide.